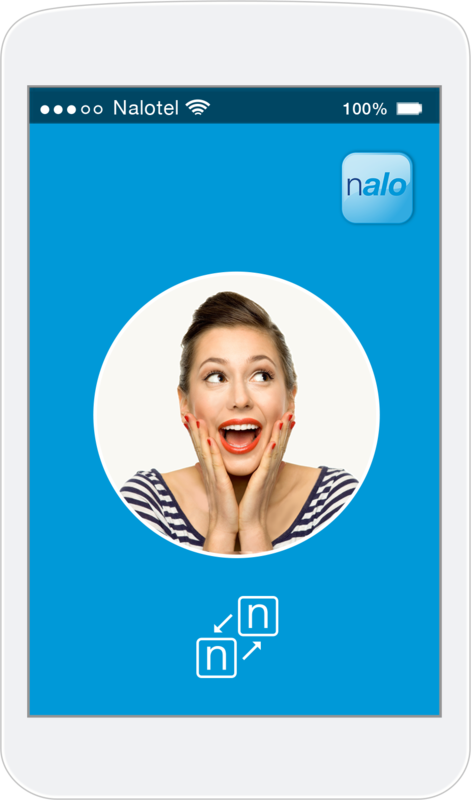 The Nalo app on your tablet or smartphone lets you make cheap international calls to landline and mobile phones anywhere you have an internet connection. You can make and receive premium-quality voice calls, chat and video calls. Plus, you can connect to other Nalo mobile users worldwide, for free. If you don’t have our app, you can still make calls to any number in the world. In our personal life popularity of wireless devices like mobile phone, tablet etc. is growing day by day. What are those “flexible features” of mobile VoIP? By using wireless mobile phone as a VoIP device, it’s really cheap and user friendly to make intern ational calls, sending instant messaging and more. Thanks to great quality of high speed 3G, 4G, LTE, WiFi, Nalotel also embraced Mobile based VoIP services. Free calls, chat and video call to other Nalo app users. The cheapest way to call anyone else around the world. Speed dial function allows you to place a call right from your contact list. Put to use the Nalo group calling feature and share the messages with your conference call. This option will ensure that your account will always be able to make calls all the time. Stay in touch with your messages to colleagues with instant messaging features. When you are unable to pick up your incoming call, stored on the Nalotel delivered to your email address. Make video calls with your colleagues. 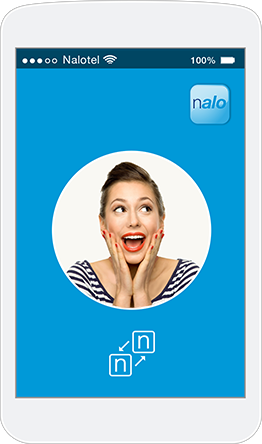 Discover new cheerful way to express yourself through Nalo chat. Nalo mobile app helps you save money on international calling. We connect you through local phone lines, which means, you never have to worry about bad phone reception. With Nalo app on your mobile device you can make unlimited calls to any destination worldwide. All you need is Nalo app installed on your mobile device and so is your friend. Refer a friend or your family members and get rewarded with $5 credit added to your Nalotel account with each successful subscription. We have flexible calling plans for all of your international needs so, you can switch from one VoIP calling plan to another without having to loose your minutes. We are offering 500 minutes for domestic and international calling. Plus free Nalo VoIP phone and per month with monthly subscription. Nalo International Calling Card with prepaid minutes will unleash your freedom to call anywhere. Nalo calling card is design for any life changing events. We offer great features such as easy online account management and more. It’s a new way of calling that will save money for you, your family and friends.